My Christmas tree is still up. I’ve been working a job and a half, thereby eliminating any sort of “day off”, and when I have a free night, or part of a day, I can’t help myself – I chill. Tonight the thing that sounded best, after reheating pasta from last week for dinner, was a spot of reading and a nice little split of Cabernet Sauvignon. 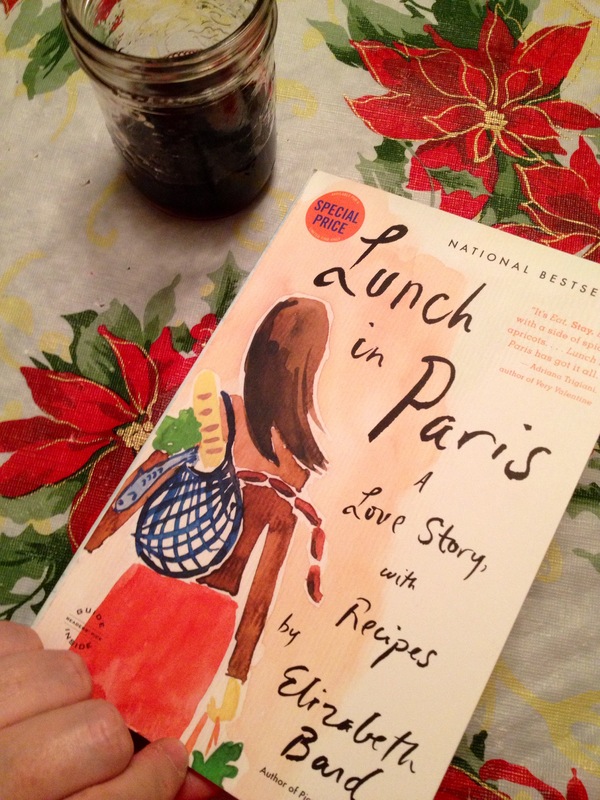 The book is pretty light reading and not anywhere as engaging as Eat Pray Love (as one of the many review snippets at the front of it alluded to), but it’s still fodder for my imagination that feeds my own aspirations of a visit to the grande dame of cities, and eventually perhaps the rest of the country. The weather has been behaving these last few days. Sundown was spectacular this evening, and we’ve been graced with light since Saturday. It certainly makes the length of my work days more bearable when I at least get to see some sunlight (even if it’s interrupted by a bus ride nap). The winter has felt long. We’ve had lots of rain even though the rainfall has (supposedly) been below “normal”. I think that sounds funny, especially when rivers of rain flow down the street more briskly than the Santa Ana flows most of the time. Those are the days that I wish I was back in Orange County. The air is always fresh here, though, and the layer of moss on everything that remains in place for any length of time is even (mostly) charming. It’s a matter of negotiating the less appealing aspects with some finely tuned biochemical assistance. Like sublingual vitamin d drops, for instance. Last week I viewed from the top of our tower some local film crews setting and shooting scenes. My guess is it’s Once Upon A Time, still shooting their NYC scenes. 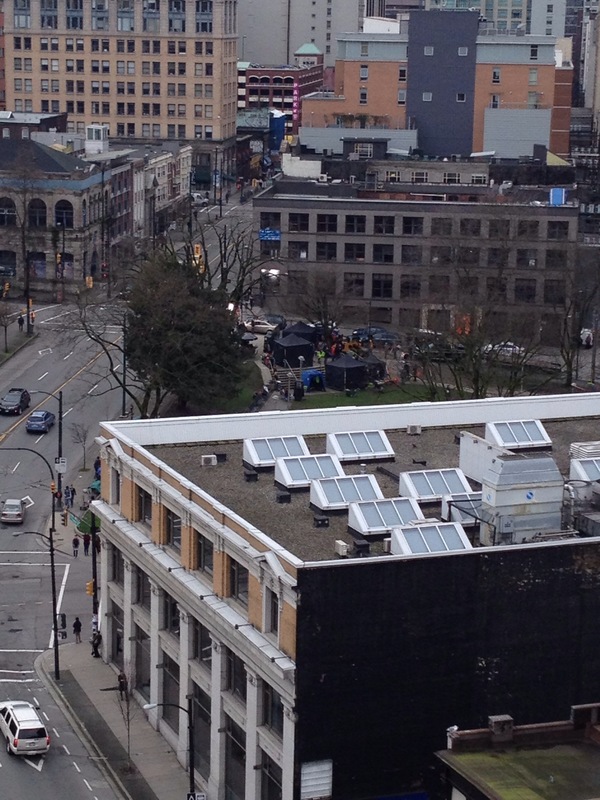 I’m pretty sure I’ve seen more filming since I’ve been in Vancouver than I ever did while I was in California. Well… that’s all she wrote (at least for tonight). This entry was posted in LIVING OUT LOUD, MY TENDER HUMAN JOURNEY, x YOU ARE HERE and tagged books, fatigue, filming, france, paris, Vancouver, work on 16 . February . 2015 by theartsyfartsychick.